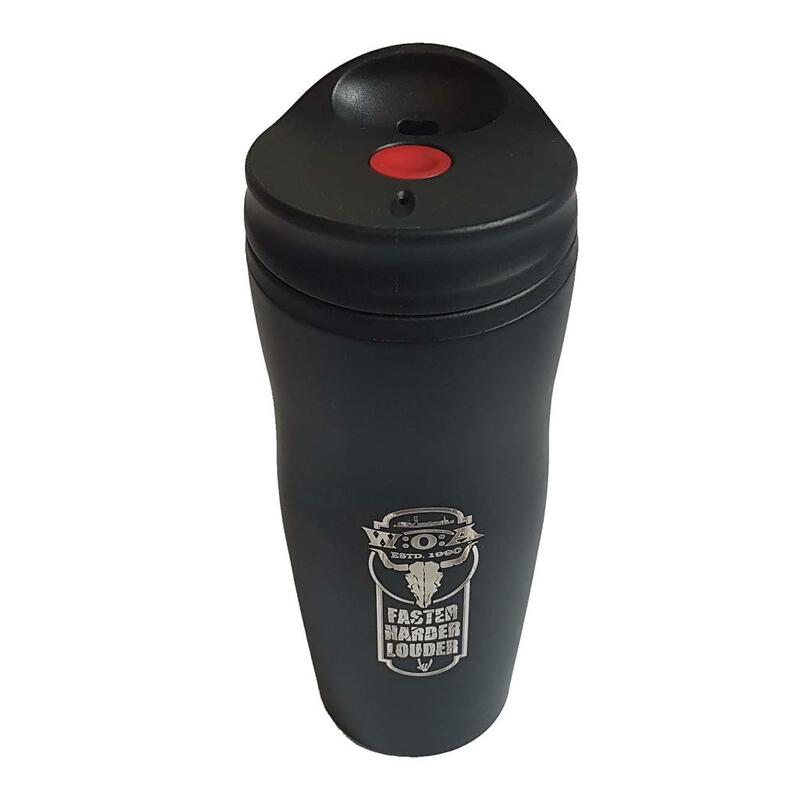 To keep your beverages on an appropriate temperature, we have this trendy double-walled W:O:A thermos cup with click-closure. The outer layer is made of stainless steel, which is painted black, and the inner layer is made of plastic. 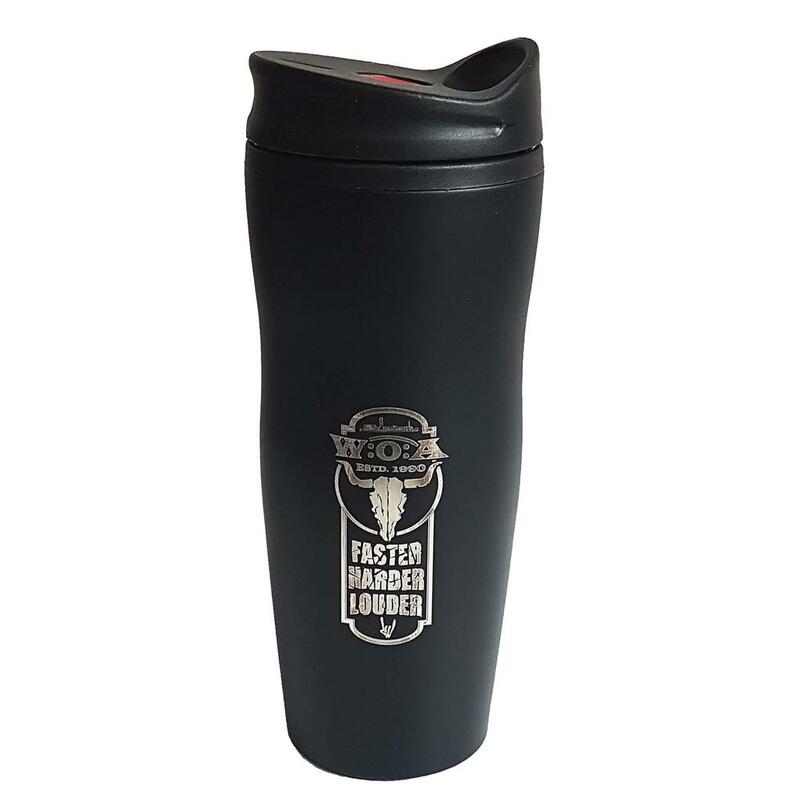 One side of the cup is decorated with the W:O:A logo together with the bullhead and the slogan "Faster, Harder, Louder". It holds 0,5 liters and is leakproof, but due to the varnish it should always be handwashed.